I gaze hazy out the kitchen window on Monday morning. The light of Spring bursts through billowed clouds, streams of gold strike through a deep cobalt sky above the foggy marine layer. 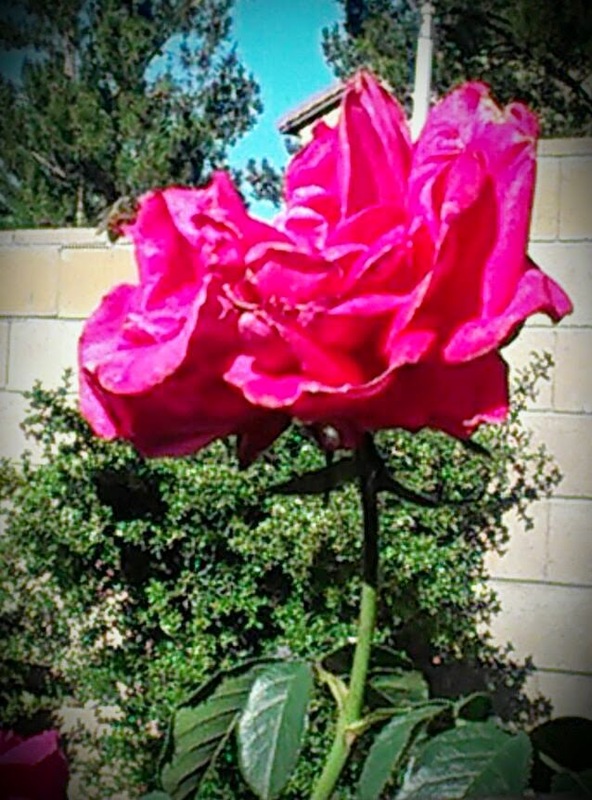 On the edge of our fence lay the plumage of a single rose, bloused with perfumed petals pushing away from a thorny stem wearing crimson robes royally, reclined upon its pedestal like a throne. Beauty unfolds extravagance. A gift from the Lover to his beloved. I go back to counting the items on my to-do list at the beginning of a busy week. Easter is coming and there is much to prepare. Decidedly, we head out on an excursion to her favorite park. It’s a short drive to the mountains where the locals enjoy seasonal apple picking, raspberry picking, pumpkin patches, and hikes in the natural reserve. It’s probably our favorite place in our little world. Along a winding drive to the mountainous play ground, trees stretch their boughs across the road like a canopy. Swiftly passing shadows play reflections of leaves dancing on the road. Over the car stereo praise music floods the cabin and I can’t help but sing out loud. My free hand lifts in spontaneous worship. I blush. I consider how I might respond as if being caught in an intimate act. God’s arms are always open to embrace his children. We continue on to the park and are met with a sweet breeze. As the wind sweeps through the mountainside, waves of tall grasses swell in crescendo like a sea. Oaks one-hundred years old and a thousand pines sway with the movement, a million leaves whispering their song like a chorus, branches raised to the heavens in applause, while notes of pollen swirl on the breeze. Little children soon tire of the playground and explore. A congregation of lady bugs gather on the wild grasses. Tiny hands reach down to grasp at the red spotted shells. A lady bug expands its wings to be caught in the current upon the breeze. “The wind blows wherever it pleases. You hear its sound, but you cannot tell where it comes from or where it is going. So it is with everyone born of the Spirit” (John 3:8). The whole earth gushes God glory. New flower buds pucker open like kisses; leaves spread their fingers. Emerging from its cocoon the papillon uncurls delicate wings. 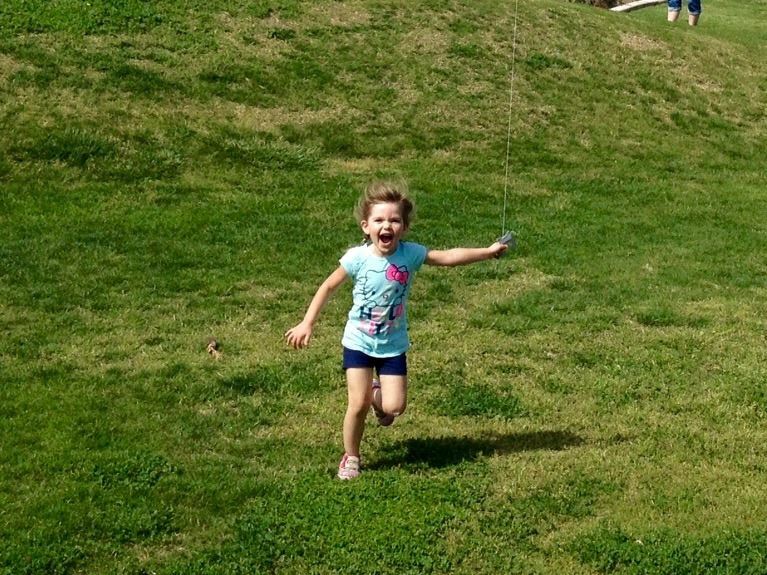 Little child runs reckless through the grass tossing her kite into the wind. Arms extend with wonder, mouth gaped in laughter, abandoned fully into joy. Wherever the Spirit of the Lord is, there is freedom (2 Corinthians 3:17). Easter lily trumpets in declaration of the King! Savior’s arms stretch out upon heavy beam; nail driven through open hand. A banner of grace unfurls upon the peoples of the earth. Prayerful hands open in surrender, unfold to give away, empty to receive. I have swept away your sins like a cloud. I have scattered your offenses like the morning mist. Oh, return to me, for I have paid the price to set you free (Isaiah 44:22 NLT). And it washes over me on Good Friday. The blood that poured down and the grace that lays open like a blanket to shroud my sin. The tomb once full will be opened up just as my heart bursts within me because it cannot contain all the glory to be revealed. And Christ appears to those who know him and he blesses them with peace just as he did that third day. The cloth is spread out upon the table for a banquet and we’re all invited. Like a child at the break of day, come hungry. Come open and ready. Unfurl your heart into grace. For God wants you to know that…the riches and glory of Christ are for you…too. And this is the secret: Christ lives in you. What’s on Your Most Important List?